Looking for a reason to escape? These exclusive weekender packages at some of the Hamptons' most coveted hotels will seal the deal. 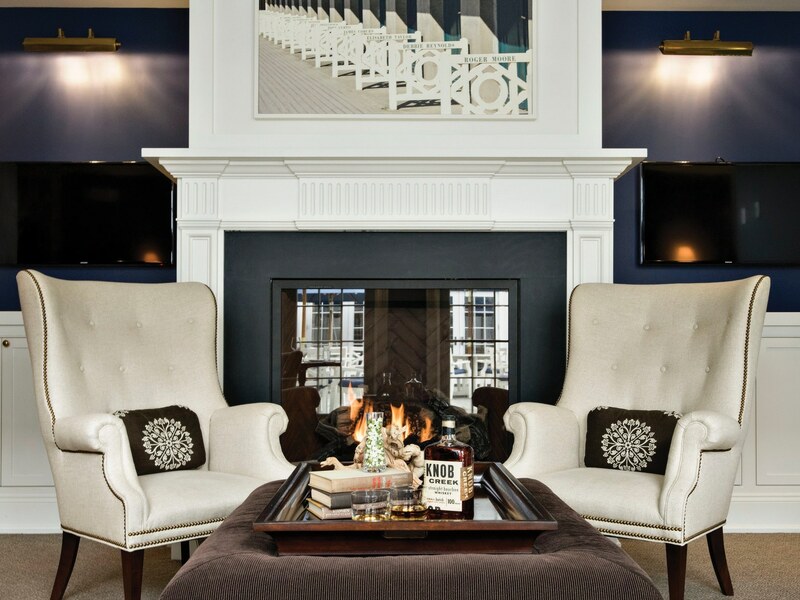 Grab a cocktail by the fire in the Quogue Club Tavern. Whether you need a break from the city’s bustle or are in the mood for a little staycation, the Hamptons’ many lodging options don’t disappoint. With some fun incentives to boot, you can’t go wrong with these intimate getaway spots. The charming Baron’s Cove offers rooms overlooking the harbor, fireplaces adorned with holiday decor, a neighboring ice rink and your newest Thanksgiving tradition. The holiday-weekend package includes a delicious three-course holiday meal, Wild Turkey cocktails in the lobby lounge and breakfast for two. Immerse yourself in the ultimate relaxation at Art House, the modern B&B located in the heart of East Hampton. Running through mid-May, Art House offers special deals for endless cozy days and nights spent soaking in the indoor pool, gazing at the elaborate artwork dotting the walls and sitting beneath the glow of the fire while sipping fine wines. For full luxury style, the premium rooms offer exclusive amenities like a steam room, soaking tub, sauna and whirlpool tub. Modern meets traditional meets over-the-top opulence at the Topping Rose House, a boutique-hotel haven sitting right in between South Hampton, East Hampton and Sag Harbor. The full luxury-style hotel hosts a fabulous Christmas fete—sure to be replete with savory bites, flowing bubbly and an unforgettable evening celebrating the holiday season. With intricate details throughout the posh hotel and a traditional porch wrapping the front of this beautiful all-white hotel, the elegant Quogue Club offers incredible incentives for a visit during winter months. During a two-night stay receive a 15 percent reduction on both your lodging and massage services, or, should you be in need of a corporate retreat away, enjoy 10 percent off a booking of five or more rooms. Looking for a weekend of indulgence and wellness? At The Baker House, the Ultimate Baker Spa Package combines both with impressive results. With delicious fresh-pressed juices delivered to your room, healthy gourmet breakfasts and passes to the renowned East Hampton Gym, you won’t want this holiday vacay to end. Your two days of bliss also feature private use of the Baker Spa, a couples Swedish massage and a hot-stone treatment for the utmost restorative weekend.